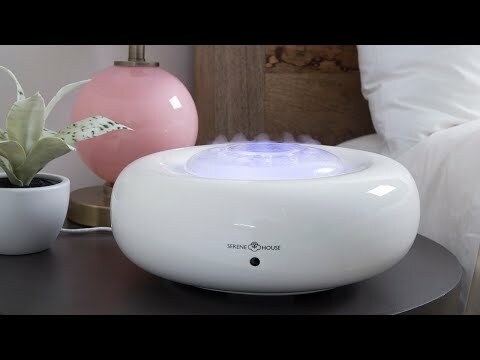 Each ultrasonic humidifier from Serene House is as lovely as it is functional. The Donut II fills up to 450 square feet with purifying mist, aromatherapy, mood lighting, and your favorite songs. 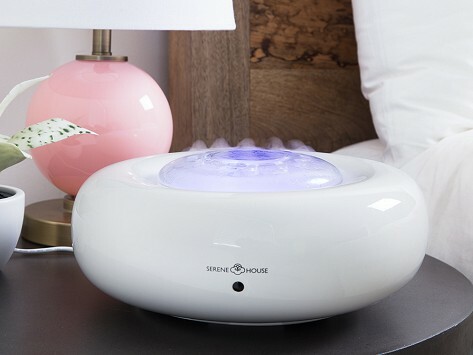 Its ceramic oscillator emits ultrasonic vibrations that create a cool, fine mist, boosting the room’s moisture balance. Add some drops of your favorite essential oil and that fresher feeling air will have a great scent, too. Suggested room size: Up to 450 sq. ft.
Water tank capacity: 7.8 fl. oz. Dimensions: 10.63" x 10.63" x 4.52"
These humidifiers are the product of a rich collaboration between engineers and designers. This intentionality is evident in the design—both in functionality and looks, they’re a breath of fresh air.